Professor David Bellamy OBE look set to have a big audience as he steps into the controversy surrounding wind farms in Caithness. Professor Bellamy will be accompanied by advocate Bob Graham who will make a presentation. A Question and Answer session will be chaired by John Thurso MP. The session will pose questions for speakers across a spectrum of opinion. The Caithness Wind Farms Information Forum believes this will be an excellent opportunity for for this widely debated subject to be addressed at a local level. SNP MSP for the Highlands and Islands Rob Gibson has warned people in Caithness to beware the words of botanist David Bellamy when he visits Thurso next week. Prof Bellamy will be addressing a meeting organised by Caithness Windfarm Information Forum on Tuesday 23rd November, which will be chaired by local MP John Thurso. 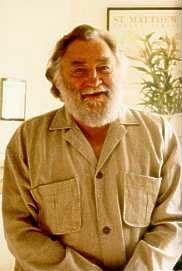 Mr Gibson says that David Bellamy's views are eccentric at best....."Here is a man who has gone on record stating that global warming is a nightmarish myth and that doubling the amount of CO2 in the atmosphere would be a good thing as it would raise plant activity as 'Co2 is the most important airborne fertilizer in the world'." "These are statements that Mr Bellamy has being making for some time now and it doesn't stop there. In an article for the Daily Mail he said that his views were supported by 18,000 scientists who signed a petition from the Oregon Institute of Science and Medicine, which opposed the findings of the Kyoto Agreement that called for Governments to reduce greenhouse gases. However on closer inspection it appears that petition was only signed by a handful of experts who are discredited in world terms, just as US President Bush is discredited. In contrast, the 2,000 top scientists who sit on the UN's Intergovernmental Panel on Climate Change (IPCC) disagree with that theory and fully accept that greenhouse emissions lead to global warming, but then perhaps David Bellamy has more respect for a small organisation from Oregon that agree with him than the combined opinion of such disparate groups as Shell, Greenpeace and world institutions such as the UN, EU and G8, all of whom recognise the problem and are discussing the solution with varying degrees of urgency." He went on... "Bellamy has said that global warming has nothing to do with the burning of fossil fuels and has described wind turbines as 'Weapons of Mass Destruction' which not only shows his lack of understanding on the very nature of climate change and how to deal with it, but makes you question his grasp on reality, even Bjorn Lonborg (the Skeptical environmentalist) says that people who deny that manmade climate change is happening are 'fools'." MR Gibson believes that appropriately sighted wind turbines that give community benefit and are integrated with greater use of biomass, solar, tidal and wave power are the best option for renewable power produced in the north of Scotland, but he said that David Bellamy's apparently authoritative views can foster an anti-renewables frenzy. "I would caution the Caithness audience on what David Bellamy says. In Australia, the Isle of Lewis and many other places he has peddled his discredited views. I would also be very interested to know what Lord Thurso's thoughts are on Mr Bellamy's outlook as the LibDems pledged (in the European elections) to reduce greenhouse gasses. It all underlines the lack of a clear government strategy for renewables. Scare-mongering by Prof. Bellamy can only muddy the debate even further." Whatever the rights and wrongs this looks to be one of the most interesting and topical public meetings of the year.